Flavonoids are ubiquitous in photosynthesising cells and are commonly found in fruit, vegetables, nuts, seeds, stems, flowers, tea, wine, propolis and honey. ... 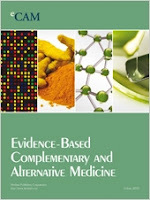 The activity of quercetin, for example, has been at least partially attributed to inhibition of DNA gyrase. It has also been proposed that sophoraflavone G and (−)-epigallocatechin gallate inhibit cytoplasmic membrane function, and that licochalcones A and C inhibit energy metabolism. Other flavonoids whose mechanisms of action have been investigated include robinetin, myricetin, apigenin, rutin, galangin, 2,4,2′-trihydroxy-5′-methylchalcone and lonchocarpol A. These compounds represent novel leads, and future studies may allow the development of a pharmacologically acceptable antimicrobial agent or class of agents. To understand the antioxidant properties of buckwheat honeys, we investigated their antioxidant effects on hydroxyl radical-induced DNA breaks in the non-site-specific and site-specific systems, the physicochemical properties, antioxidant activities (1,1-diphenyl-2-picrylhydrazyl (DPPH), hydroxyl radical scavenging activity, chelating, and reducing power assays), total phenolic content and individual phenolic acids were also determined. Total phenolic content of buckwheat honeys ranged from 774 to 1694 mg PA/kg, and p-hydroxybenzoic and p-coumaric acids proved to be the main components in buckwheat honeys. All the buckwheat honey samples possess stronger capability to protect DNA in the non-site-specific systems than in the site-specific systems from being damaged by hydroxyl radicals. In the non-site-specific and site-specific system, buckwheat honeys samples prevented ·OH-induced DNA breaks by 21-78% and 5-31% over control value, respectively. Apamin, a peptide component of bee venom (BV), has anti-inflammatory properties. However, the molecular mechanisms by which apamin prevents atherosclerosis are not fully understood. We examined the effect of apamin on atherosclerotic mice. Atherosclerotic mice received intraperitoneal (ip) injections of lipopolysaccharide (LPS, 2 mg/kg) to induce atherosclerotic change and were fed an atherogenic diet for 12 weeks. Apamin (0.05 mg/kg) was administered by ip injection. LPS-induced THP-1-derived macrophage inflammation treated with apamin reduced expression of tumor necrosis factor (TNF)-α, vascular cell adhesion molecule (VCAM)-1, and intracellular cell adhesion molecule (ICAM)-1, as well as the nuclear factor kappa B (NF-κB) signaling pathway. Apamin decreased the formation of atherosclerotic lesions as assessed by hematoxylin and elastic staining. Treatment with apamin reduced lipids, Ca(2+) levels, and TNF-α in the serum from atherosclerotic mice. Further, apamin significantly attenuated expression of VCAM-1, ICAM-1, TGF-β1, and fibronectin in the descending aorta from atherosclerotic mice. These results indicate that apamin plays an important role in monocyte/macrophage inflammatory processing and may be of potential value for preventing atherosclerosis. Thirty-two healthy adult male Sprague-Dawley rats were randomly divided into four groups (eight rats per group). Group 1 (control group) was given 0.5 ml of distilled water. Groups 2, 3 and 4 were given 0.2, 1.2 and 2.4g/kg(-1) body weight of honey respectively. The rats were treated orally by gavage once daily for 4 weeks. Honey did not significantly alter body and male reproductive organs weights. The rats in Group 3 which received honey at 1.2g/kg(-1) had significantly higher epididymal sperm count than those in Groups 1, 2 and 4. 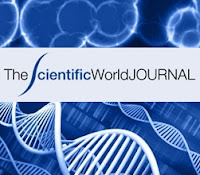 No significant differences were found for the percentage of abnormal sperm, elongated spermatid count, reproductive hormonal levels as well as the histology of the testis among the groups. In conclusion, Malaysian honey at a dose of 1.2g/kg(-1) daily significantly increased epididymal sperm count without affecting spermatid count and reproductive hormones. These findings might suggest that oral administration of honey at this dose for 4 weeks may enhance spermiogenesis in adult rats. The protective effect of propolis on haematological parameters and antioxidant status were evaluated in the blood and various tissues of carp exposed to chlorpyrifos (CPF). The fish were exposed to sublethal concentrations of CPF (0.040 and 0.080mg/L) for 10days, and propolis (10mg per kg of fish weight) was simultaneously administered. Samples of the blood and tissue (liver, kidney, and gill) were collected at the end of the experiment and analysed for their oxidant-antioxidant status, including the malondialdehyde (MDA) levels, and the superoxide dismutase (SOD), catalase (CAT), and glutathione peroxidase (GSH-Px) activity. The samples were also measured for changes in the haematological parameters, such as the red blood cell (RBC) and white blood cell (WBC) counts, the haemoglobin concentration (Hb), the haematocrit (Ht) level, and the erythrocyte indices: the mean corpuscular volume (MCV), the mean corpuscular haemoglobin (MCH) and the mean corpuscular haemoglobin concentration (MCHC). The findings of this study demonstrated that CPF had a negative effect on the haematological parameters and the antioxidant enzyme activities of the fish; this toxic effect was neutralised by the administration of propolis. The present results suggest that propolis can be effective in the protection of CPF-induced toxicity in fish. Previous work from our laboratory showed that the mechanism of crude-honey induced apoptosis in colon cancer cells. Since phenolic constituents of honey were attributed to its apoptosis-inducing ability, we studied caffeic acid, one of the phenolic constituents of honey, induced effect on colon cancer cells. Antiproliferative effect of caffeic acid was estimated using 3-(4,5-dimethylthiazol-2-yl)-2,5-diphenyl tetrazolium bromide (MTT) assay. MTT assay signified the antiproliferative nature of caffeic acid against the HCT 15 colon cancer cells. 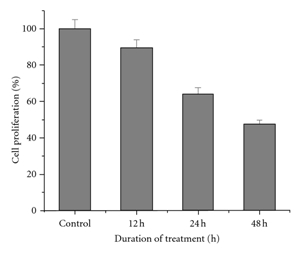 A time-dependent inhibition of colony formation was evident with caffeic acid treatment. Cell-cycle analysis of caffeic acid- (CA-) treated cells indicated increasing accumulation of cells at sub-G(1) phase. Photomicrograph images of treated cells showed membrane blebbing and cell shrinkage. Yo-pro-1 staining of caffeic-acid-treated cells confirmed apoptosis in dose- and time-dependent manner. Increasing ROS generation and reduction in the mitochondrial membrane potential were also accompanied in the caffeic acid-induced apoptosis. This work will promote caffeic acid as a likely candidate in the chemoprevention of colon cancer. Gelam honey exerts anti-inflammatory and antioxidant activities and is thought to have potent effects in reducing infections and healing wounds. The aim of this study was to investigate the effects of intravenously-injected Gelam honey in protecting organs from lethal doses of lipopolysaccharide (LPS). Six groups of rabbits (N = 6) were used in this study. Two groups acted as controls and received only saline and no LPS injections. For the test groups, 1 mL honey (500 mg/kg in saline) was intravenously injected into two groups (treated), while saline (1 mL) was injected into the other two groups (untreated); after 1 h, all four test groups were intravenously-injected with LPS (0.5 mg/kg). Eight hours after the LPS injection, blood and organs were collected from three groups (one from each treatment stream) and blood parameters were measured and biochemical tests, histopathology, and myeloperoxidase assessment were performed. For survival rate tests, rabbits from the remaining three groups were monitored over a 2-week period. Treatment with honey showed protective effects on organs through the improvement of organ blood parameters, reduced infiltration of neutrophils, and decreased myeloperoxidase activity. Honey-treated rabbits also showed reduced mortality after LPS injection compared with untreated rabbits. Honey may have a therapeutic effect in protecting organs during inflammatory diseases.